Pabst Farms Aurora Medical Traffic Impact Analyses - TADI - Traffic Analysis & Design, INC. Pabst Farms Aurora Medical Traffic Impact Analyses - TADI - Traffic Analysis & Design, INC. The project included over 72 acres of other medical related development consisting of medical and dental office buildings, assisted living and a hospice care center. 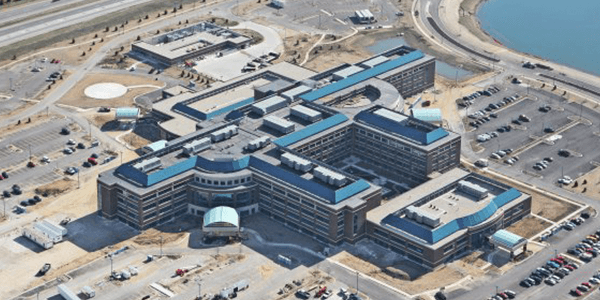 The traffic analysis consisted of recommending a cross-section/lane configuration of the internal roadway system, intersection layouts, recommended traffic control and recommended access point locations for the medical center to enhance internal and external traffic operations. The analysis also determined the necessary off-site recommended traffic improvements consisting of the installation of traffic signals, additional turn lanes and enhanced access for emergency vehicles. TADI also conducted an extensive analysis of response time/arrival time to the Emergency Room was conducted to determine the most efficient/safe access for internal and external access routes.